A Will contest usually occurs when someone is disappointed with the way an estate is to be paid out under a Will. That the person lacked mental capacity to make the will. All of the above situations occur, and when they do, it is proper to investigate and contest the Will, if justified. But Will contests are easily avoided if an attorney assists in the Will drafting and signing. 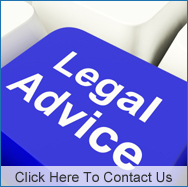 Your attorney will make sure that the Will is technically correct, and inquire about undue influence and capacity. If there are issues in these areas, your attorney at Kallemeyn & Kallemeyn will take the steps necessary to make sure the issues do not invalidate the will. We can establish capacity by obtaining a doctor’s opinion that a person has capacity to make a Will. To have capacity to make a Will, a person must understand the nature, situation and extent of his or her property; the claims of others on that property and is able to hold these things in his opr her mind long enough to form a rational judgment bassed on such things in his or her mind long enough to form a rational judgment based on such understanding. So, even if a person has periods when he or she is unable to understand these things, if, when the will is signed, the person has this understanding, a person has capacity to make the Will. A Will has been unduly influenced when it is not the result of the person making the Will’s own wishes, but the result of the influence or control of another. Claims of undue influence can usually be avoided if the attorney meets separately with the person making the Will to discuss this issue, away from anyone who may be attempting to influence the Will and confirm that it is the wishes of the person making the Will that are being carried out. If there is a Will contest, at the very least, the cost of the administering the estate will probably triple, because there may need to be a trial of these issues. At worst, the Will can be found invalid, and the estate will not be divided according to your wishes. Contact us to ensure that your Will cannot be contested by anyone, or if you believe a Will should be investigated for any of these reasons.